Aspirin, ibuprofen and paracetamol - what are the differences between these three painkillers? A third of UK adults don't know, says a survey. People who are already using a prescribed medicine to thin the blood should talk to a health professional before using aspirin, even occasionally. The survey involving over 1,000 people was carried out by Panadol to coincide with Ask About Medicines Week, a campaign that aims to encourage all of us to ask more questions about medicines as we get older. One in three people said that they would take the first available medicine. Women were more likely to make an informed choice, with 39 percent thinking about which medicine to take compared with only 27 percent of men. Most people knew that some painkillers should be avoided for individuals with certain medical conditions but 40 percent had no idea what these painkillers were. Are painkillers bad for your heart? What are the differences between paracetamol, aspirin and ibuprofen? Adult dose of paracetamol: 500mg -1g every four to six hours, maximum 4g daily. What is paracetamol? Paracetamol (acetaminophen) is a non-opioid (or non-narcotic) painkiller and fever reducer that belongs to a group of medicines known as analgesics. When should you take paracetamol? Paracetamol is used to ease mild to moderate pain from headaches, toothache, muscle and joint pains and period pains. What are the dangers of taking paracetamol? Paracetamol side-effects are rare if you do not take more than the maximum recommended dose. However, it can be very dangerous if you take an overdose. Taking paracetamol with other medications? It is usually safe to take paracetamol with other medications but check with your doctor or pharmacist if you suffer from liver or kidney problems. And be careful if you're taking other non-prescription remedies, such as cold treatments, which may also contain paracetamol. Adult dose of aspirin: 300-900 mg every four to six hours, maximum 4g daily. What is aspirin? 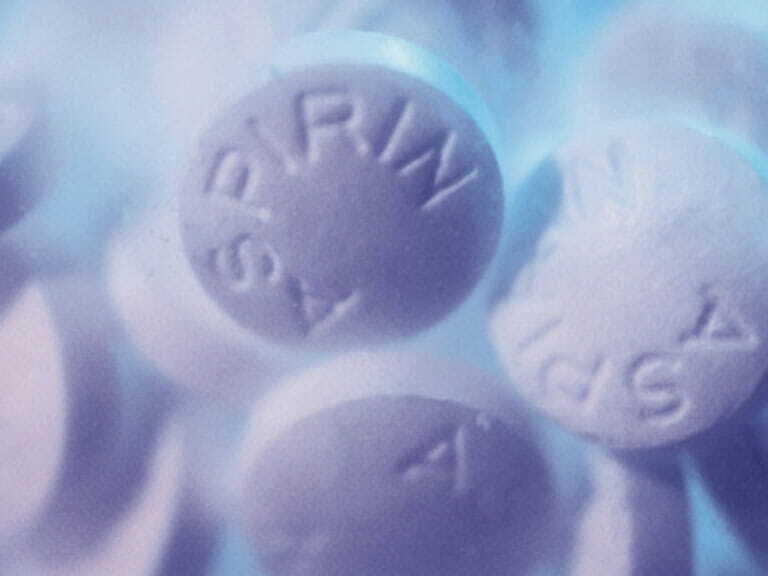 Aspirin belongs to the group of medicines known as non-steroidal anti-inflammatory drugs. When should you take aspirin? Aspirin can be used to relieve pain and inflammation caused by rheumatic and muscular pain, sprains, backache, headache, sore throat, toothache and period pain. It can also be used to treat flu-like symptoms and reduce fever in adults. In low doses, it can be used to thin the blood. What are the dangers of taking aspirin? Some medical conditions, such as high blood pressure, bleeding disorders, asthma, stomach ulcers, and liver and kidney disease, could make aspirin a bad choice for you. Taking aspirin with other medications? Aspirin can mix badly with other medicines, vitamins, herbals, or dietary supplements. People who are already using a prescribed medicine to thin the blood should talk to a health professional before using aspirin, even occasionally. Adult dose of ibuprofen: 1200 - 1800 mg daily in three to four divided doses, preferably after food. Maximum daily dose 2400mg (2.4g). What is ibuprofen? Ibuprofen is a non-steroidal anti-inflammatory drug. When should you take ibuprofen? Ibuprofen can be used to relieve pain and inflammation caused by rheumatic and muscular pain, headaches, backache, and period pain. It can also be used to relieve cold and 'flu-like' symptoms. What are the dangers of taking ibuprofen? Ibuprofen may cause drowsiness and dizziness. Taking ibuprofen with other medications? Ibuprofen can interact with medications, including herbal and complementary preparations. Check with your pharmacist before taking it if you have blood clotting problems, peptic ulcers, kidney or heart problems. Should you take this supplement?